Marjorie Feldman-Wood is a true entrepreneur and the President and CFO for Al’s Holding, Inc. and Subsidiaries. She has more than 20 years of financial experience. She’s worked in Poland as the Director of Finance for World Cable Communications, Inc. and served as Vice President and Director of Taxes for its U.S. affiliate, Chase Enterprises. 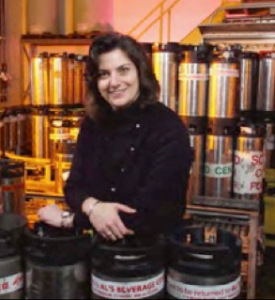 Marjorie purchased Al’s Beverage Company in 1996 and Jason Soda Company in 1998.